Equipment for measuring levels of radioactivity in foodstuffs and liquids, combining easy-to-use interface for non-expert users, with fast an accurate response to compare radiation levels with international standards. The most economical radioactivity-in-food monitor on the market, the PM1406 consists of a high sensitivity CsI scintillation detector, and a set of plastic beakers (Marinelli-type). A well inside the beakers fits neatly over the detector, thus placing the detector within the food volume to maximise sensitivity. 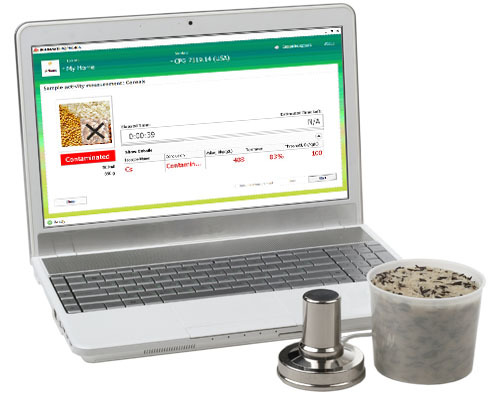 The detector itself connects to your existing desktop PC or laptop via a USB cable; the PM1406 software provided with the device allows quick and easy identification of food radiation levels in terms of Bq/kg or Bq/l, also data storage. The device is especially useful for non-expert users with no knowledge of radiation, and ideal for use in the home, shops, restuarants, etc. If the food is heavily contaminated the measurement takes a few minutes. At lower contamination levels, more time is required for defining radionuclide specific/volumetric activity. 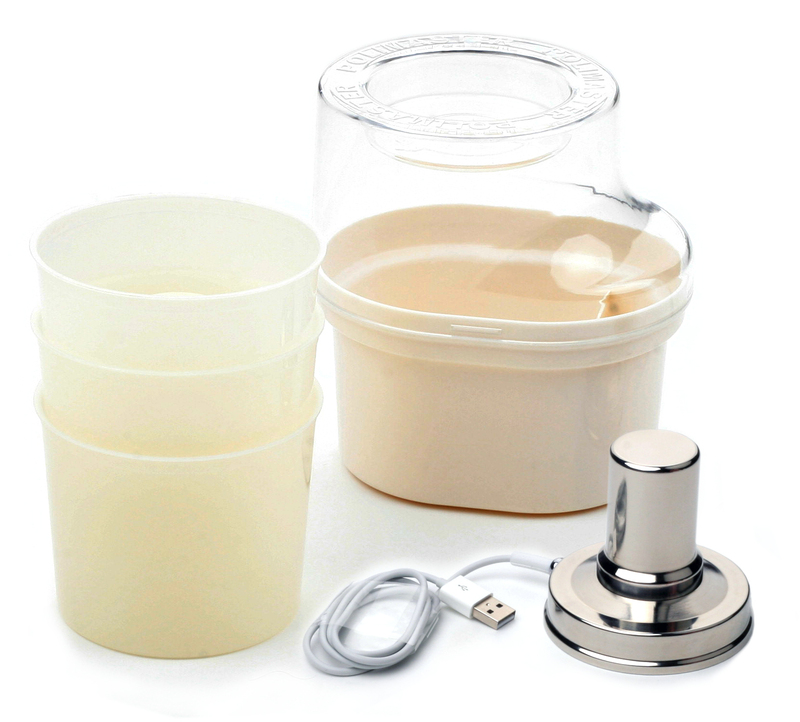 Optionally, the PM1406 food radiation detector can be supplied with a lead outer container to increase sensitity by eliminating natural background radiation from the readings. Minimum threshold activity at using lead shielding is 10 Bq/kg. Radionuclide activity level is registered, analyzed and compared with food radioactive contamination limits set in accordance to international and national Standards. With an internet connection and user registration, libraries of permissible radionuclide contamination level are updated automatically via Internet.